Bruce Fink holds a Bachelor degree in Business (Banking& Finance) from Melbourne’s Monash University. Today he is the Chairman of the Bickham Court Group of Companies, a company he began in 2002 and which now maintains a diverse portfolio of investments. The group has a controlling interest in Executive Channel International (ECI), the parent company of the Executive Channel Network (ECN). ECI has become a world leader in executive communication, with the ECN network reaching more than a million executives in office buildings in Australia, the United Kingdom, France and Holland. Bruce co-founded ECI and is currently the company’s Executive Chairman. 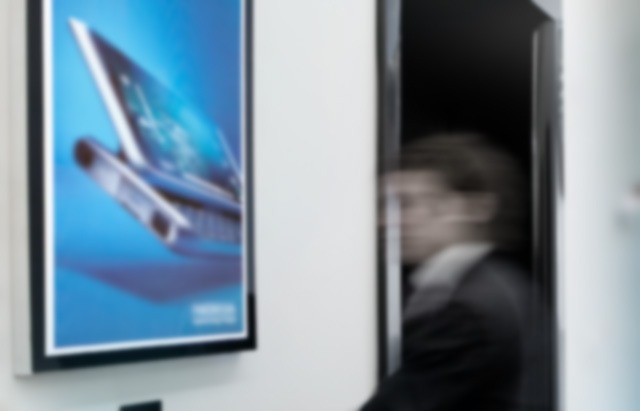 ECN operates a network of digital screens in prime office buildings to facilitate more significant connections between property owners, office executives and advertisers. The network provides advertisers with a highly targeted platform through which they can engage executive office workers. ECN’s network includes a vast range of digital communication platforms, including premium premium high definition video walls, large digital screens in office foyers, in-lift screens and corporate car park displays. The network provides live news, industry information and full-motion display advertising through dynamic digital displays, connecting advertisers to an executive audience and providing executives with relevant content. ECI’s international network has expanded to have a global footprint that now incorporates more than 500 prime CBD office towers. In 2014 that Mr Kim Williams AM, the former CEO of News Limited, would join the ECI Board as a non-executive director. Dr Frank Wolf OAM, the co-founder of the Abacus Property Group, also joined ECI’s Board in 2014 as a non-executive director. Chris Winterburn, the Managing Director of Media i, became an executive director at ECI during 2014. These appointments marked the continued international expansion of ECI. Bruce Fink also co-founded Media i. Media i is a media channel with over 170 premium large format screens in over 50 Australian advertising agencies today. Through a network of digital screens, Media i delivers news and media information through dynamic digital displays in a customized 15 minute loop, connecting media professionals with industry relevant information. Bruce Fink has worked with startup media organisations since 1988, when he founded Global Television. Global Television grew to become Australia’s leading provider of outsourced television production services. In 2000, Bruce Fink co-founded Dubsat, a company which delivers television commercial release copies via satellite. Dubsat has delivered more than five million commercials to date. Bruce is passionate about philanthropy in both Australia and overseas. He is a longstanding benefactor of the Sydney youth support network Oasis, which works to reduce youth homelessness. He has supported Oasis’ Education Centre for several years through providing education materials including textbooks, stationary and technology so that disadvantaged students may be able to complete their High School Certificate. Bruce Fink’s philanthropic activities also include the Lauren and Bruce Fink School of Information Technology at Mt Scopus College in Victoria, the Leon Fink Middle School at Moriah College in Sydney and the Lauren and Bruce Fink Pediatric Emergency Theatre at Sydney Children’s Hospital in Randwick, New South Wales. Bruce currently serves on the Board of the Children’s Medical Research Institute (CMRI). He works on the Institute’s Finance and Investment Committee, Audit and Risk Committee and the Capital Foundation Committee. He is also part of the Board of the Moriah College Foundation. As Chairman of the Bickham Court Group and the Executive Chairman of ECI Bruce Fink is in the forefront of innovative digital communication solutions. His work as part of ECI’s team maintains the company’s position as a leader in office media with an international reputation for enabling more effective communication between advertisers and office executives.